As mention in one of my previous post, Family Meal is one of my favorite place to go for casual dining. On this visit, I had the Rockfish. It was served with crispy kale and placed on a bed of toasted, creamy faro risotto. My favorite part of this dish was the pepperonetta that surrounded the farro. Pepperonetta is a blend of italian bell pepper, onion, tomatoes. Chef added spicy chorizo to the pepperonetta. 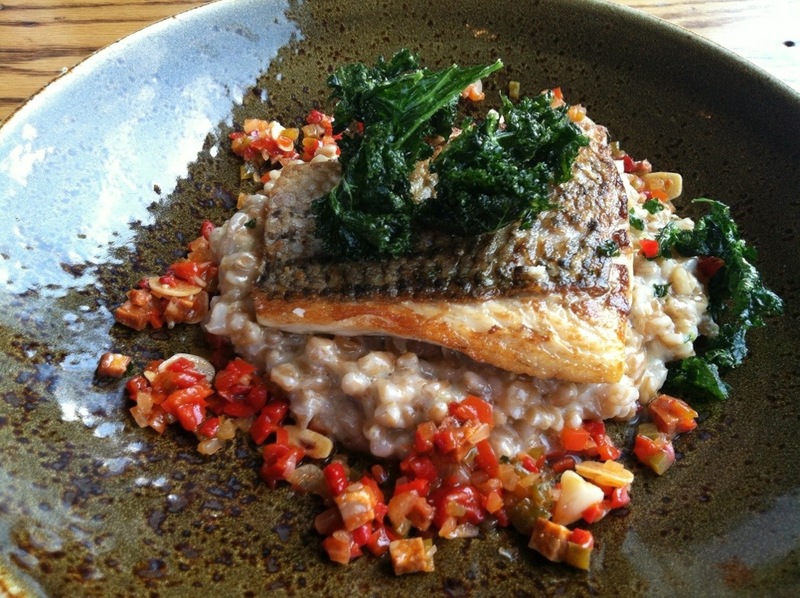 It complimented the fish and the farro beautifully. I would of never thought that those flavors would work well together, but after tasting it, I just wanted more.